With summer soon to arrive, JC Golf is your go-to for summer junior golf camps in north San Diego. JC Golf’s executive, short courses are ideal facilities for teaching youth the great sport of golf. 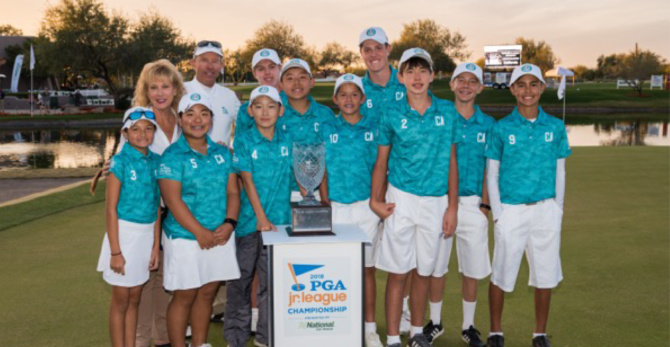 Once school ends, PGA golf professionals at Oaks North Golf Course, Reidy Creek Golf Course and Encinitas Ranch Golf Course, will be ready to kick-start this summer’s junior golf fun. Every summer, Oaks North overflows with kids and this year is no different as weekly golf camps for players of all experience levels are filling up. The camp for beginners is a five-day foundations class (1:00-2:30 p.m. Monday-Friday) that covers all aspects of the game – including rules and etiquette discussions – and culminates with a tournament, food and dessert on the last day. Advanced, competitive camps include five, 90-minute golf lessons that include bunker play, chip shots, half-swing wedge shots and a nine-hole scramble with an instructor. Players learn advanced techniques, instructional drills, and course strategy as well as full swing, chipping, putting and trouble shots. Both week-long camps are being held from June through mid August. Just north at Reidy Creek Golf Course, summer camp starts early on June 10. Three camp dates are scheduled to include three-hour camps, four days per week. Just south of the big pond inhabited by turtles and wildlife, campers start with practice on the putting green followed by short game practice, full swing and course play to tie in everything learned from the week. Camp ends with food, drinks and an award presentation and promises to keep playing golf. During the summer and throughout the year, junior golf lessons and camps are offered at Encinitas Ranch Golf Course. Taught by PGA professionals, the instructors are led by John Mason, PGA , coach of undefeated Team California, 2018 PGA Jr. League National Champions. At JC Golf, the fun doesn’t end when summer does. Starting in late August, the Parent-Junior League tees off at Oaks North. Every Sunday afternoon for 10 weeks parents and their kids can team up to play 9 holes at discounted rates. 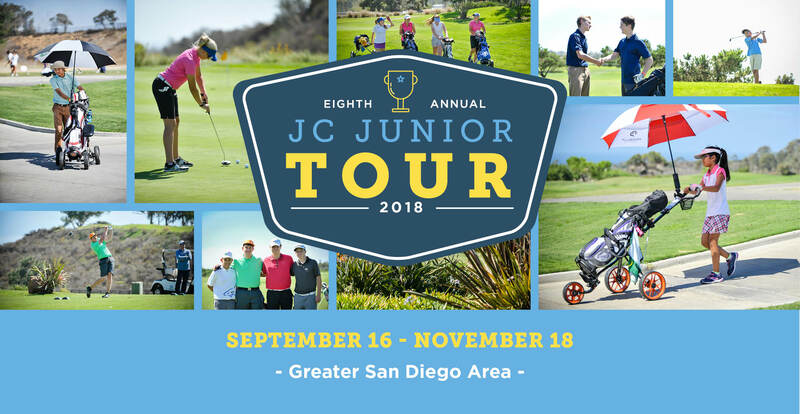 In September, the JC Golf Junior Tour begins. This tour is designed for more advanced players (ages 10-17) who are looking to prepare for high school or college competition. To lower the cost of green fees, the JC Junior Players Card enables juniors ages 6-19 to save up to 50% at participating JC Golf courses. For the most up-to-date information and registration forms for the JC Golf junior programs, visit Junior Golf Lessons and Camps.